MuShield offers a variety of magnetic shielding alloys in various forms to better serve your specific magnetic shielding needs. Some magnetic shielding applications may call for high permeability mumetal, while another may call for medium permeability Alloy 49. 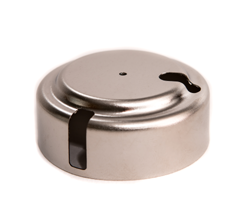 Frequently, we see the need for a combination of both mumetal and Alloy 49 magnetic shields. Whatever the case may be, MuShield has you covered as we stock mumetal and Alloy 49 coil, sheet, rod, bar, plate and seamless tubing in various shapes, sizes and thicknesses. Stocking magnetic shielding materials saves our customer time and money as we are able to ship raw material within a day or two of an order being placed and keep our costs down by making annual investments in our material inventory. Read below to learn about the different types of magnetic shielding alloys that we can offer you and your company! Soft magnetic nickel-iron alloy with about 80 % nickel, 4.2 – 5.2 % molybdenum, a saturation induction of approximately 8,000 Gauss, the highest technically obtainable permeability, (Max >350,000) and a very low coercive force. 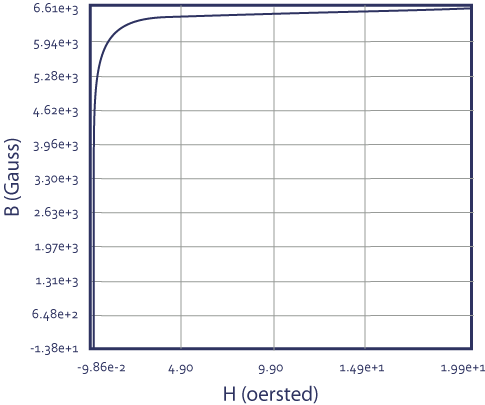 Alloy 4 exhibits very high permeability at very low induction, yielding superior magnetic shielding attenuation of low flux density magnetic fields. Soft magnetic nickel-iron alloy about 78 % nickel, 4.2 – 5.2% Copper, with a saturation induction of approximately 7,500 Gauss, and maximum permeability of 300,000. 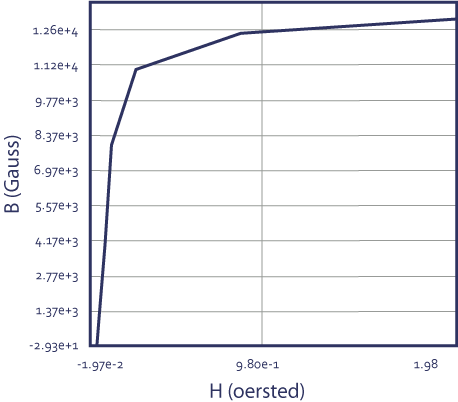 Alloy 3 exhibits very high permeability at very low induction, and low coercive force yielding superior magnetic shielding attenuation of low flux density magnetic fields. Additionally, Alloy 3 cold works extremely well. Soft magnetic nickel-iron alloy with about 50 % nickel, 50% Iron, with a saturation induction of approximately 12,500 Gauss, an initial permeability of 40,000 and a maximum permeability of 150,000. 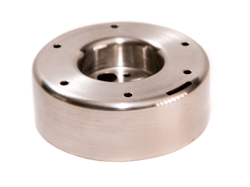 Alloy 49 exhibits high permeability at low induction, yielding adequate magnetic shielding medium to high flux density magnetic fields. Additionally, Alloy 49 cold works extremely well. Cryoperm is a soft magnetic nickel-iron alloy with about 80 % nickel, 4.2 – 5.2% molybdenum, a saturation induction of approx. 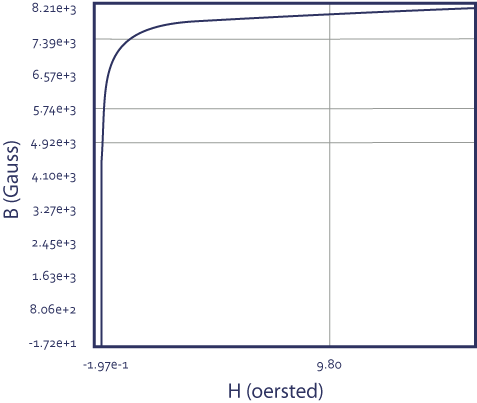 8000 Gauss, the highest technically obtainable permeability, (Max > 350,000) and a very low coercive force. Cryoperm exhibits very high permeability at very low induction, yielding superior magnetic shielding attenuation of low flux density magnetic fields. In addition, Cryoperm is the magnetic shielding alloy of choice for cryogenic applications. 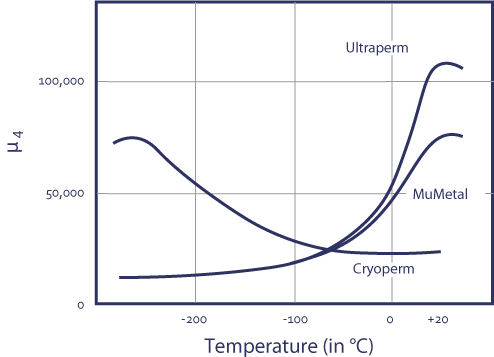 Cryoperm exhibits very high permeability at 4.2 – 10 degrees Kelvin. Silicon Iron is predominately and Iron alloy with 2 – 4 % silicon added, exhibiting a saturation induction of approx. 21,000 Gauss, an initial permeability of 6,000 and a maximum permeability of 60,000. 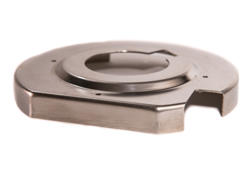 Silicon Iron exhibits high permeability at high induction, yielding superior magnetic shielding of high flux density magnetic fields. The MuShield Company Inc. maintains a state of the art testing facility at our Londonderry New Hampshire manufacturing facility. We test raw materials and finished components. Raw material testing is done in accordance with ASTM A-596 and A-773, utilizing the ballistic ring specimen method and an electronic integrator. 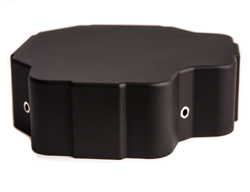 Finished magnetic shields are tested in accordance with ASTM A-698 and other DC testing procedures. Testing for shielding factor and permeability is conducted by highly trained magnetic shielding engineers and technicians. 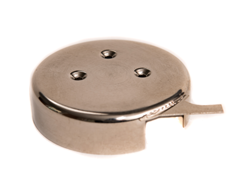 If you need magnetic shielding testing services, contact us today.